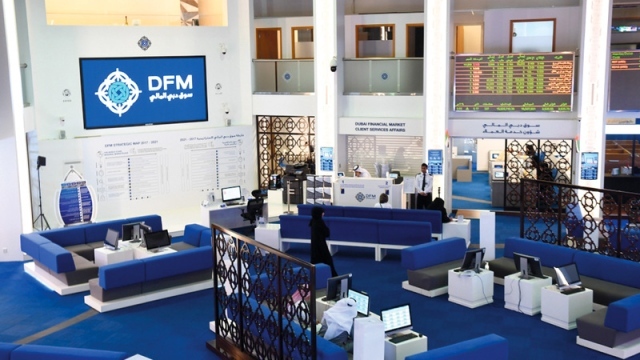 Financial analysts identified five factors that will determine the performance of the Dubai Financial Market and the Abu Dhabi Securities Market during the second quarter of 2019, namely: the continued maturity of dividends of some listed companies, the results of the first quarter of 2019, investors' access to cash dividends, American interest. Analysts expected the performance of both markets to improve in the second quarter, especially the banking sector, which witnessed strong demand from investors during the first quarter. Global Financial Services Director Waleed Al Khatib said that the market is expected to witness many events during the second quarter of 2019, which will affect its performance, notably the continued maturity of the dividend distribution of some of the listed companies, pointing out that the market deal with the maturity of cash dividends , Indicates that the market has already reached the lowest level, as share prices rise after the end of this maturity. He added that the biggest event the market is waiting for is the results of the first quarter of 2019, which, if better than the fourth quarter of 2018, will fundamentally change the market performance. He pointed out that the second quarter of this year will see the beginning of investors to receive cash dividends, which may flow about 30% of them to the market, but will not contribute significantly to improve liquidity. Khatib said there are external factors that will contribute to shaping the market, namely oil prices and US interest, as rising oil prices or the decline or stability of the US interest rate support the performance of domestic stocks. He stressed that the performance of the market during the first quarter of this year was good, although some companies were affected by the announcement of profits less than expected by 70%, which made the market less responsive to the results of companies' positive expectations exceeded expectations. "The positive results have not translated into an increase in stock prices, so the implied value of some shares is greater than their market value, which is indicative of the possibility of higher prices during the coming period." He stressed that the most important positive indicators in the market during the first quarter is to increase the investments of institutions and foreigners in the market. For his part, the first financial analyst at Mena Corp Financial Services, Issam Kasabia, expected the quiet of trading during the second quarter of this year, especially during the quarter coinciding with the coming month of Ramadan and the beginning of the summer, periods where trading is quiet. He said the performance of the banking sector would be better in the second quarter, despite the Federal Reserve's decision to stabilize interest rates, and he expected real estate stocks to remain calm. He pointed out that the second quarter will be characterized by investors buying shares from behind their forecasts of corporate performance, or according to the semi-annual distributions that may be announced by some companies. He stressed that the results of the companies during the first quarter is considered one of the factors affecting the performance of the market during the second quarter, as well as cash dividends that will reach the hands of investors during that period. Marwan Shurrab, Head of Private Equity and Accounts at Al-Ramz Capital, said the performance of the first quarter was exceptional, as trading values ​​focused on specific stocks improved. He said that the performance of shares in the banking sector has seen unprecedented performance, especially as most of the shares of the sector offset the decline after the end of the right to cash dividends during the same day. He said that the results of the first quarter of 2019 will determine the performance of the market during that period, as investors will take their investment in the market, based on the results of these companies, and expected to be pumped Cash dividends are also based on this basis. The Dubai Financial Market index gained 4.15% during the first quarter of this year, closing at 2634.86 points. Most sectors were led by real estate that gained 7.84%, the banking sector that gained 7.47% and the transport sector by 7.32%. In the first quarter, Dubai National Insurance and Reinsurance was the top gainer, rising 21.43%, followed by Takaful House which rose 20.18%, Emirates NBD 19.64% and Emaar Properties 19.5% , Followed by Aramex (18.5%) and Arabtec (13.9%), bringing the number of shares of companies that rose more than 10% to about six shares. Foreigners and GCC nationals headed towards buy, netting AED 511.04 million and AED 184.75 million respectively. UAE and Arab investors tended towards selling at AED 670.59 million and AED 25.203 million respectively. Institutions netted AED 473.15 million, netting AED 499.724 million and AED 26.572 million respectively. The Abu Dhabi Securities Market rose 3.24% to close at 5074.65 points. Al Wataniya Takaful was the top performer in the Abu Dhabi market, up 17.58%, followed by Zawya Holding Company (16.5%), Aldar Properties (15.58%) and Manazel Real Estate (14.33%). Commercial Bank by 14.06% and Commercial Bank of Abu Dhabi by 12.89%. Nationals were net sellers at AED 1.262 billion, while Arabs, Gulfs and foreigners were net buyers at AED 6.953 million, AED 181.675 million and AED 1.074 billion respectively. Game of Thrones: "France is the eighth country to hack most series"